The company was founded by the de’ Longhi family in the early 1900s as a small industrial parts manufacturing workshop. The first major turnaround took place in 1974, when Giuseppe de' Longhi, the current President, transformed the company by introducing the first oil-filled radiator branded with his surname. 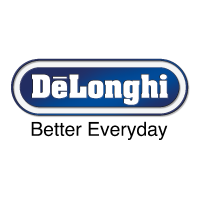 Over the following years, De'Longhi expanded to include all portable heating appliances, air-conditioners and every category of small domestic appliances in coffee, food preparation and cooking, household cleaning and ironing. In 2000 De’Longhi’s acquired the British food processing appliance producer Kenwood, which expanded its reach in the food preparation and secured its position as the leader in the kitchen machine category. The following year, 2001, the De'Longhi Group was listed on the Milan Stock Exchange. In July 2012, from Procter&Gamble, the De'Longhi Group obtained the perpetual licence to use the Braun trademark on small household appliances.